Preparing future teachers to make a significant difference in the lives of students in the secondary schools of our region is a priority of the English with Teacher Licensure program. The Bachelor of Science in English with Teacher Licensure 7-12 prepares ETL students to become highly qualified teachers for the state of Arkansas. With this credentialing, ETL graduates are able to take their knowledge and experience around the world. Courses cover topics in English language and cultural studies, British and American literature, young adult literature, writing and reading pedagogy, and current trends, best practices, professionalism and policy of education as related to the 21st century student. The faculty of the English department invite you to join us in developing critical thinkers in the classroom as we challenge students with traditional and 21st century literacy skills. Students gain content knowledge and pedagogical skills that guide them toward becoming a highly qualified teacher. Best practices are explored and constructed through critical thought, researched constructs, and effective communication in the ethical pursuit of education. A degree in the English with Teacher Licensure opens many doors locally and abroad for our graduates. Many UAFS ETL graduates continue their formal education by completing master and doctoral degrees at highly recognized universities. These graduates often go on in areas of education that include content area specialist, curriculum and instruction, and educational leadership. 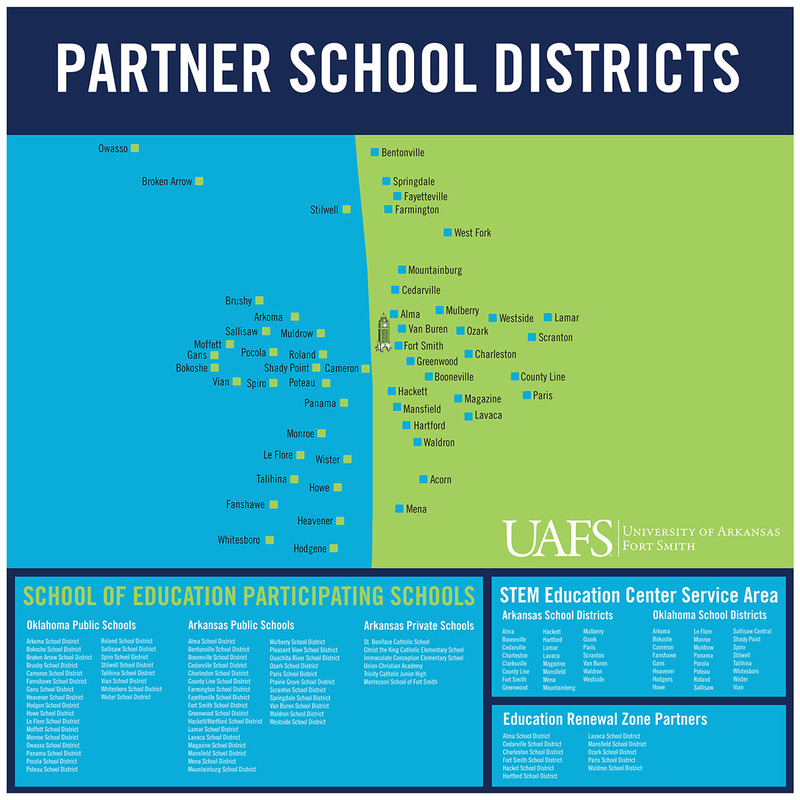 UAFS ETL graduates continue to impact diverse student learning through successful employment in the local area and around the World.